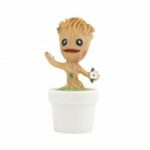 This mini flowerpot features adorable Groot design which comes from the famous Marvel movie Guardians of the Galaxy. It enables you to plant large varieties of table top plants like cactus or succulents, giving your working space a lively and fresh look. 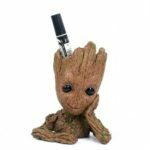 This is a must buy for all Baby Groot character lovers. 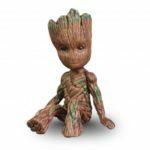 Adorable Groot design, can be a perfect gift for all Baby Groot character lovers. With expressive eyes, looks realistic and lifelike. 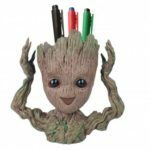 Enables you to plant large varieties of table top plants like cactus or succulents, giving your working space a lively and fresh look. 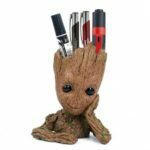 Can be a perfect decoration for your desk or car dashboard. 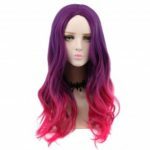 Made of quality PVC material, non-toxic, no odors, safe to use. With two design for your choice, 01 is two hands under the chin, 02 is hand heart.